It appears Mathias Brome could become the latest player to jump from the Swedish Hockey League to the NHL. According to Sweden's Hockey News SE, Brome is drawing interest from several NHL teams, including the Vegas Golden Knights. In 52 games with the SHL's Mora IK this season, Brome posted 15 goals and 35 points. He moved up from Sweden's second tier Hockey Allsvenkan last season and posted nine goals and 21 points in 52 games as an SHL rookie. 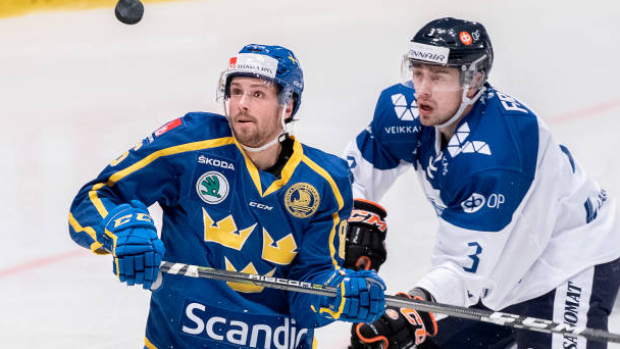 The 24-year-old played under current Chicago Blackhawks head coach Jeremy Colliton while playing for Mora IK in the Allsvenkan league in 2016-17, when Brome scored 18 goals and posted 49 points in 51 games. Brome, who is listed as six-feet and 183 pounds, will turn 25 in July.